The marketing world is changing for the next generation of students — those born after 1995 and labeled as Generation Z. So what attracts them? Gen Z was practically born with smartphones in their hands, so they have high expectations on technology because they rely on it so heavily. That said, they process information more quickly but are less focused than their millennial counterparts. That’s why it’s key to ensure properties are using platforms like Snapchat and Instagram, as well as any text-based communications and apps. Because this generation of students expects to have data and news at their fingertips, they also have high expectations for receiving information via video. This is an area properties struggle with today. Most properties aren’t utilizing video the best way they can — by showcasing not only their property, but also its staff and residents. Gen Z isn’t looking for expensive, highly produced videos, either. They want to consume content the way they see it on a daily basis on their various social networks — real, authentic, and under 30 seconds. This is a great time to utilize your community assistants or brand ambassadors to be the voice and face of your property’s core values. No matter what generation, students want to belong to something. They thrive on community. That’s the key to any marketing tactics that are served based on the prospects’ terms — don’t expect them to come to you. Be transparent, showcase your property’s personality, and how you bring people together. Highlight how you give back as a company and property, and how Gen Zs can get involved. 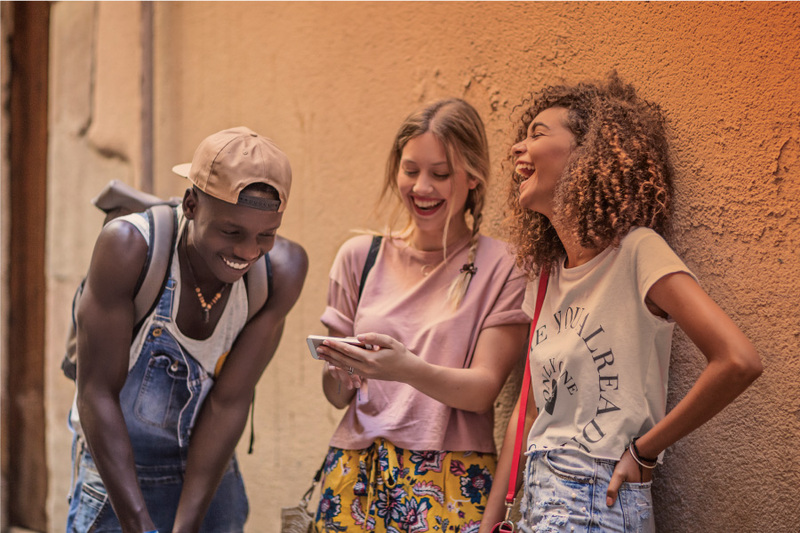 With Gen Zs constantly on their mobile devices, they need a place where they can do it all — pay their rent, request maintenance issues, and have the ability to connect to build that community. Property apps that utilize rewards or coupons are also important to this generation. Further, Gen Zs are more entrepreneurial than millennials and thrive on the ability to learn and do more. Properties with study rooms are important because Gen Z values their individual work environments. It has been reported that over 70% of teens today have aspirations of opening their own business venture. How can you help support their entrepreneurial passions? A strong residence life program! Residence life programs that encourage students to learn, guide them through resume- and career-building initiatives, and offer support are essential. Gen Z isn’t complicated. Implementing these basic principles at your property will not only attract and retain this group of students, but also help foster this generation for the future leaders they will become.